By the same token, we tear down the relics of the past in order to make way for the innovations of the future. As every rebirth requires reinvention, GODSMACK–Sully Erna [vocals, guitar], Tony Rombola [guitar], Robbie Merrill [bass], and Shannon Larkin [drums]–continues a similar cycle on their seventh full-length and debut for BMG, When Legends Rise. Following the album’s release, GODSMACK launched a 45-city co-headlining tour with Shinedown. The run started with a six-week outdoor amphitheater tour kicking off July 22 and included stops in Los Angeles, Las Vegas, Dallas, Atlanta and New York. The trek continued into the fall with arena shows and festival performances before concluding with a headlining slot at the sold-out Aftershock festival on October 13. The band will return to the road in 2019 with dates in the UK, Europe, North America and beyond. Like the city they call home, these musicians speak louder, fight harder, and grow stronger each day. Through an uncompromising attitude and uncanny knack for a hummable hook, they quietly became one of modern rock’s most reliable and resonant institutions. Against all odds, the boys have broken one ceiling after another. They’ve landed seven number one singles on both the Billboard Mainstream & Active Rock charts. Most notably, they’ve earned 21 Top 10 hits at Active Rock–the most of any act since February 1999. Joining a prestigious club that includes Van Halen, U2, Metallica, Dave Matthews Band, and Linkin Park, they debuted at #1 on the Billboard Top 200 three consecutive times. Not to mention, they’ve sold over 20 million albums worldwide, garnered four GRAMMY® nods, and won “Rock Artist of the Year” at the Billboard Music Awards. Following a marathon two-year tour cycle reunderlining their position as one of rock’s most explosive acts, the band made a conscious decision to approach writing from a different angle. For the first time, they welcomed collaborators into the process, including John Feldmann, Erik Ron, and longtime friend and Sevendust guitarist Clint Lowery. As a result, the sonic palette expanded dramatically, while preserving the guttural GODSMACK grit synonymous with the group. So impressed by Ron’s demos, Erna invited him back to GODSMACK Headquarters in Derry, New Hampshire in order to co-produce the 11 songs with him comprising When Legends Rise. Together, they unlocked an epic urgency evidenced within the title track and album opener. The magic carries through the first single “Bulletproof.” Hinging on a massive and muscular groove, Erna’s voice takes hold during hypnotic verses before snapping into a stadium-size chant that’s impossible to shake. Elsewhere, piano and strings drive the heartfelt “Under Your Scars” as “Every Part of Me” trudges forward on ironclad intensity. Spurned by a jam session with Lowery, “Eye of the Storm” closes out this journey with a barrage of distortion, haunting vocals, a hypnotic solo, and the sound of roaring thunder. 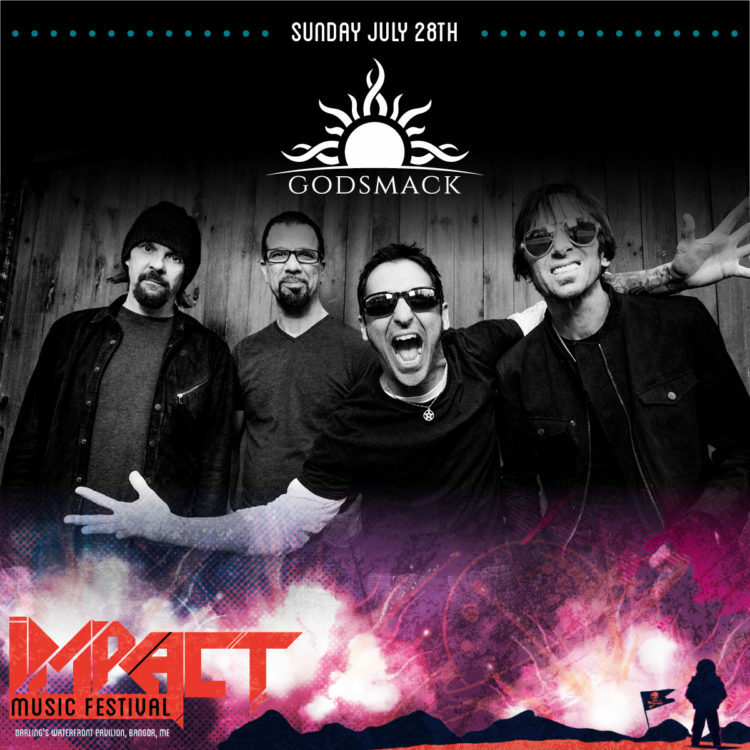 Regardless of what’s on the horizon, GODSMACK rise like never before here.